It doesn’t take a lot of effort to talk me into dinner at Chef David’s Dumpling & Noodle Bar. 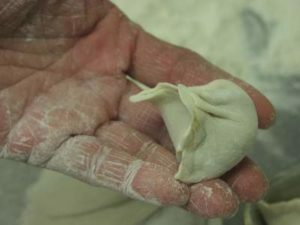 His signature half-fried dumplings don’t come from a food-service box – they’re lovingly made, by hand, from scratch, one at a time. Anna sent me a message letting me know she ‘had a taste’ for dumplings over her fall break, so we went out on a date to Chef David’s restaurant. Dinner was great, but it was also a little sad. I met Chef David Mao when he had his former restaurant, The Duck and the Dumpling on Moore Square in Raleigh. In the early days, we were in the wholesale dessert business. I made a sales call on him to pitch our cheesecakes and pies and he agreed to give us a try. 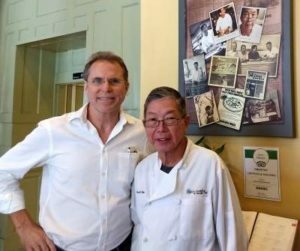 While not an immediately obvious fit for a Chinese fusion restaurant, our Key Lime Pie, New York Cheesecake, Tiramisu and a few others were on the menu for over 7 years until he sold that restaurant. In the early days of Anna’s Gourmet Goodies I got to know a variety of chefs and restaurant owners. They were an interesting group and on the whole, some of the hardest working people I’ve ever met. Restaurateurs work incredibly long hours, most often when the rest of us are finished work for the day. I learned a lot about running our business from watching and talking with them. Some became friends and I’m happy to put Chef David in that group. One of my favorite memories was standing in the kitchen and watching Chef roll out and assemble his dumplings. He mixes the dough from flour and water, and grinds up the pork filling from fresh meat, adding his other secret ingredients. 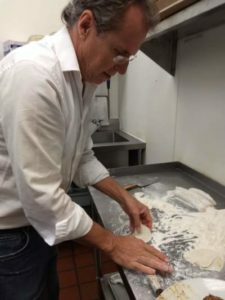 I watched as he cut off the small pieces of dough, rolled out the seemingly perfect circles, scooped in the filling, and sealed them up. With the hands of a master at his craft that no machine will ever match, he filled tray, after tray, after tray of these bite size delicacies. 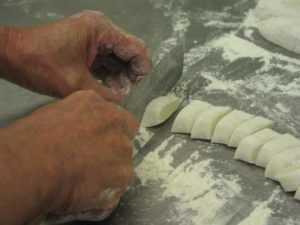 His hands work the dough quickly, yet gracefully repetitious, artfully crafting each one. I’d often ask how many he’s made and Chef would laugh and tell me he has no idea. It was never about the quantity – but the quality. I think about Chef David almost every time we make a batch of ‘cookie pucks’, as we call them. I mix up the dough and load the hopper while Debbie and Dawn shape, weigh and roll each one, by hand. We’ve had a variety of other ‘cookie-helpers’ apprentice with us in the bakery. Without fail, they all walk away with a different level of appreciation for the amount of work it takes to produce a hand made product. Like Chef David’s dumplings, our cookie gifts don’t start in a factory and come out of a food-service box. I also watched Chef and how he interacted with his customers. He delighted in sharing small tokens of his appreciation to the diners in his restaurant. I’d watch him make his carrot ginger soup, almost as effortlessly as he made dumplings, and personally serve up a small sample at the table. Not on the menu, not on the bill, just a little extra or ‘lagniappe’ as we learned from our friends at Uptown Endodontics in New Orleans. Anna was about 5 or 6 years old when we first started delivering to Chef’s restaurant and he would always send her home with an order of dumplings after a delivery. A little lagniappe that she remembers to this day. It’s difficult to articulate, but there is a subtle difference between someone who serves customers for the business, and someone who serves customers from the heart. In my opinion, Chef David is one who serves from the heart – employees, vendors and customers. Once you’ve had that experience, it’s hard to settle for less. We try very hard to focus on the same type of service at Anna’s Gourmet Goodies. We’ve been out of the wholesale dessert business for a number of years, long before Chef opened David’s Dumpling & Noodle Bar. But we still go by to visit, savor his hand made creations, share a laugh and a smile, and enjoy a little lagniappe every now and again. During our last visit, Chef David let us know that he had sold the restaurant and would at some point, be retiring. I always knew that day would come. I am happy for him, but also a little sad. He’s earned it and I am honored to have been along for at least a part of his journey. 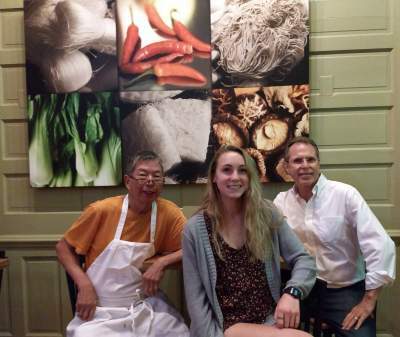 I did ask for one last favor, to come by and watch him make dumplings one last time. He agreed and even gave me a lesson and a chance to try my hand at making a few dumplings. He was patient and a great instructor, but my hands are a long way from having the skill of a master when it comes to making dumplings. There’s something magical about watching and learning from someone who is passionate about what they do. About using their hands to create food that not only fills the belly, but feeds the soul. About watching how they treat others and run their business. We try to do that everyday at Anna’s Gourmet Goodies and I am grateful I had this one last opportunity to watch and learn from a master at his craft. With the Holiday Season just around the corner I’m sure I’ll get weary at some point from making batch after batch of our cookies. But I’ll think of Chef David, smile and get back to work, hoping that at least a few of the people enjoying our cookies will think of them in the same way I’ll always remember Chef David’s dumplings. 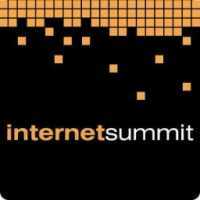 I’ve been going to the Internet Summit in Raleigh every year since it began. It’s a chance to not only hear from thought leaders and rock stars in the digital world, but to network with peers who are interested in learning more about the technologies that have infiltrated and changed our lives forever. Anna’s Gourmet Goodies has been on the web since 2002. We’ve evolved over the years, allowing me to combine my technology skills and background with a passion for creating products that feed people’s soul. I love meeting people who know something I don’t and are willing to share that knowledge. One of the people I met this year is Melanie from Sisarina. She used the example of Mini Cooper cars and how their marketing is focused not so much on the cars themselves, but the people who drive them. Apparently driving a Mini means you’re in the club. You wave at other drivers. You go on adventures instead of drives. It’s not about steel, rubber and petroleum products, it’s about the soul of the people behind the wheel. Technology folks are famous for acronyms. I can’t tell you how many surveys I’ve taken where they ask what kind of business we are at Anna’s Gourmet Goodies. Are we a B2C (business to consumer) or B2B (business to business)? Melanie challenged all of us that we are neither. “You see”, she said, “we are all in the H2H business. Human to Human”. What a simple and profound concept. I immediately thought about a recent experience I had meeting a new friend from the Ukraine. I was at Crossroads Infiniti and Yuri (the sales manager) was speaking with a client in Russian. My Russian has faded to a few words, but Yuri introduced me to the customer, whose name was Yuriy. He had recently moved to the United States and was there with his wife and his infant son, also named Yuriy. I was in no position to try and speak Russian, but Yuriy was kind enough to practice his English. We talked about his coming to the US and their experience starting a new life here. The conversation moved to Anna’s Gourmet Goodies and our chocolate chip cookies. As an Infiniti customer, he absolutely loved them. He described some of the cookies from the Ukraine and said that oatmeal raisin was very popular there and one of his favorites. He shared other treats and things about his culture. He was incredibly kind, respectful and I thoroughly enjoyed meeting him and his family. Afterwards, I asked Yuri (the sales manager) to send me his address. I baked up a couple of packages of our oatmeal raisin cookies and sent them to Yuriy and his wife along with a brief note. I welcomed him to the US and confirmed what he already knew, that Yuri and the other people at Crossroads Infiniti were not just professionals, but really good human beings. About a week later, I was in the dealership and Yuriy (from the Ukraine) was there with his wife and infant. He had brought in a bag of candies from Russia for me. He walked up and with a huge grin on his face, hugged me and thanked me profusely for my kindness. All I did was send him a few cookies, but it was clear that the impact and connection went way beyond that. I was overwhelmed and even got a little misty. We send out cookie and brownie gifts to people every day. We hope the connections we make generates this type of reaction from the people who receive them. But we rarely get a chance to experience this side of the human connection. It had an impact on how I view our business. Sadly, not everyone has heard Melanie’s message and understands they are in the H2H business. We lost an order this week to a technology company who is stuck in the B2B business. The admin who prepared the gift list, sent us the order without a person’s name for the packages, only a company. These were going to large companies and I asked if they were sure they wanted to do this. She said yes. From our experience, we knew the packages would be delivered, but we would likely get a phone call from the recipients asking who the packages were for. The opportunity for the technology company sending the gifts, to make a human connection to their customer, would be lost. When I asked a second time, just to be sure, they went with another large cookie company who will simply take their money and ship the order. I can’t think of a time when it is more important to be reminded that we are in the human to human business. Things get busy this time of year. We’ll be working hard to hand craft our cookie and brownie gifts, and make sure they get to the right destination. But thanks to Melanie and Yuriy, no matter how busy we get, we’ll remember that we are not sending cookie and brownie gifts to an address or a business. We’re sending them to a human being. And if we create even a small measure of happiness and gratitude that I saw in Yuriy’s face and felt in his hug, then I’ll sleep well knowing we’ve hit our goal by creating something that lasts long after the package is empty – a human connection. We’re entering the season of traditions. In a few weeks, people across America will gather with friends and family to give thanks and share a meal centered around turkey, dressing, cranberries, pumpkin pie and a host of other comfort foods that are part of their Thanksgiving tradition. Following that, we’ll celebrate traditions again in December. In my house it’s Christmas, maybe it’s Hanukkah in yours, or another tradition. These are big traditions, but sometimes the smaller ones in our families are just as important. 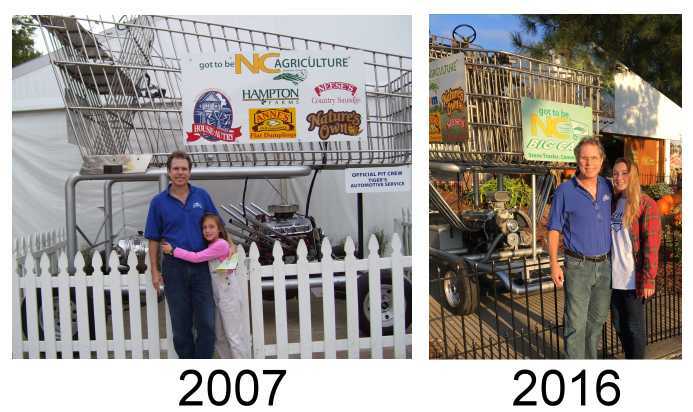 We recently went to the NC State Fair as part of a tradition in our family that includes roots to the beginning of our business. Growing up, my parents took me to the Kentucky State Fair. 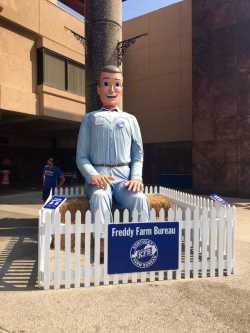 We didn’t have phones with cameras to capture the images, but I have vivid memories of talking to Freddy Farm Bureau and the time I ate a corn dog and lost a tooth (no, we did not go on a mission to find it later). Memories from traditions are more permanent than anything digital. Debbie and I started taking Anna to the NC State Fair from the time she was an infant. I’d take off an afternoon and we’d wander around the grounds looking at the booths, the animals, the vegetables and all the other stuff that comes with the State Fair. We’d park the stroller on a grassy hill (yes – it is still there) spread out a blanket and have a picnic with Anna. When Anna was three, we stopped by the Village of Yesteryear where artisans and crafts people demonstrate skills from days gone by. We met Karl Johnson a scissor artist and decided to have him create a silhouette of Anna. Watching a skilled scissor artist work is truly an experience. His brother Erik now carries on the tradition of scissor art at the State Fair. We framed the image and hung it on the wall in our office. When we started our company and named it Anna’s Gourmet Goodies, I scanned the image and 15 years later we’re still reminded that our brand was born out of a tradition. 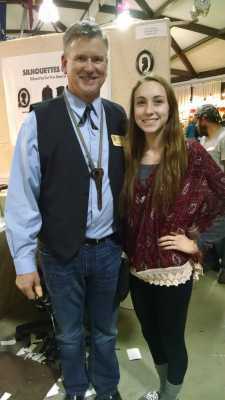 This year, Anna found time to get away from college and come back home to go to the fair as a family. And, just as we have in years past, we followed our NC State Fair tradition. We stroll through the buildings, looking at the exhibits, stopping at least once at the House Autry booth for a fresh hushpuppy. We stopped for a quick photo in front of The Big Cart, a V8 powered shopping cart from the NC Department of Agriculture (I’m still negotiating for a chance to take it for a spin around the parking lot). Then, we’re off to my favorite corn dog vendor where they’re hand-dipped and fried up fresh and hot. We explore the flower gardens, stop at the Village of Yesteryear and say hello to Erik and Dan Dye (a silversmith). We take a ride on the ferris wheel, and finish off the night with some fresh made ice cream churned by John Deer tractor engines, while watching the fireworks. We’ve followed pretty much the same ritual every year. Not everyone connects with a State Fair as an annual tradition. But for me, it is an experience that, despite whatever noise might be going on in the world at the time, reminds me that we live in a great country. Do you have traditions in your family and/or your business? Looking back, it’s clear to me that traditions are threads that bind us together. The cord we hang on to that gets us thru the ups and downs, the ebbs and flows of the year. A reminder that it is okay to pause, to celebrate and to remember. At Anna’s Gourmet Goodies, we have customers who order gifts from us once or twice, and we love that. We also have customers who’ve made sending our gifts a tradition. We’re grateful to have the opportunity to provide not only our cookies and brownies, but in some small way, be part of a tradition that binds together our customers with the people they choose to share our gifts. I hope you’ll make some time to reflect on traditions, even small ones, in your family and your business. And if Anna’s Gourmet Goodies happens to be a part of that tradition, know that we take that responsibility seriously and always strive to deliver more than simply great cookies and brownies, but an experience that has a lasting impact on every person who opens one of our packages. That’s a tradition we’re proud to be a part of. One of the best compliments you can receive from a customer is when they ask you for a referral. It is a signal that you have become, as my friend Chris Brogan calls it, an ally as opposed to simply a vendor looking to sell something. We had an opportunity to create something special for a customer recently and it was a true gift for us to be able to design an experience for their clients. Our customer contacted us to provide a referral to another company for client gifts this holiday season. Not that they were unhappy with our products – it was just that they wanted something a little different. I took it as a supreme compliment they would ask my opinion on alternatives. I looked around at some companies and sites to see what might fit. We know a few others out there who do some great work (like Berta Scott down at Southern Supreme in Bear Creek). After giving it some thought, knowing what we’ve learned about their company and how they treat their clients, we thought it might be interesting to see if we could create something beyond a gift and deliver an experience their clients would always remember. We are fortunate to have some very talented food professionals in our area. Years ago I connected with Missy at LaFarm bakery in Cary. Her husband Lionel is a true rock star in the world of baking. 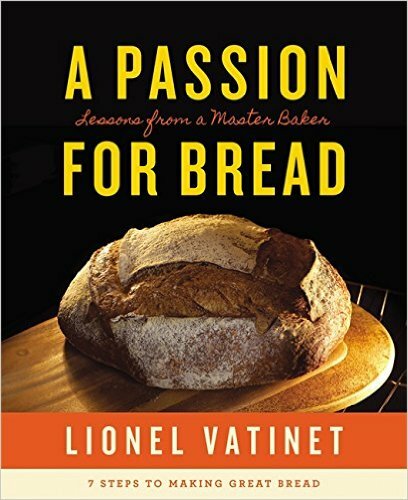 In addition to running a thriving bakery, he lectures at conferences and his book, A Passion for Bread: Lessons from a Master Baker, says it all. His work flows from his passion. I stopped in one day to discuss my idea of including some of his sweet breads in our gift and it was done. We’ll be adding Lionel’s coffee breads to our ‘gift experience’. Next, I wanted something to go with that and naturally, I looked for coffee. 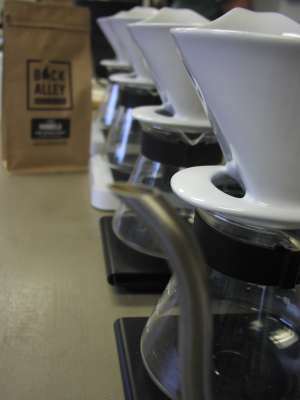 Coffee roasting has exploded right up there with craft beer and once again, I found a shop, Back Alley Coffee Roasters. 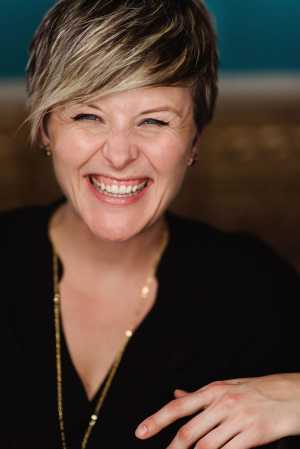 Beth and her husband Tracy started this business after an experience learning to roast coffee ‘in a back alley’ of sorts at the college where Tracy was a professor. They started, much in the same way as Lionel, out of a passion to create something wonderful. When you stand in their shop and watch the baristas create a custom pour over for customers, it’s clear they understand the difference between producing a product and crafting an experience. We checked off another item with coffee from Back Alley. Finally, we needed something to put the bread and the coffee in. A box or a tin just did not seem right. A wood crate would be a nice touch. I started looking for solutions out there, but couldn’t find anything to fit our size and budget requirements. I did find one company that could have made the product, but after some thought, I decided to reach out to Richard. Richard is retired and lives in Louisville. He began his career serving in the military and later went on to work at Fall City Brewery where he did a variety of jobs, including a tour guide. Richard loved to help people by building things and eventually ventured out on his own providing building and repair services. Working on your own is never easy, especially when you have (5) children and a wife at home. But they worked together as a team, always doing the right thing for his customers, providing for the needs of his family, living responsibly and being faithful in charity to his church and community. His passion shows in his integrity and always wanting to do things right. He seemed like the perfect fit to craft the wooden crate to finish off our gift experience. 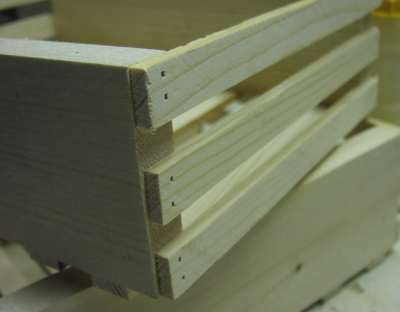 He agreed to let us use his workshop, so Debbie and I traveled to Kentucky to make some sawdust and craft some crates. The size of the order came in nearly triple what we initially expected, so we had a bit of work to do. One of my favorite quotes is from Science Guy Bill Nye – “Everyone knows something you don’t”. It drives one of my passions, learning. 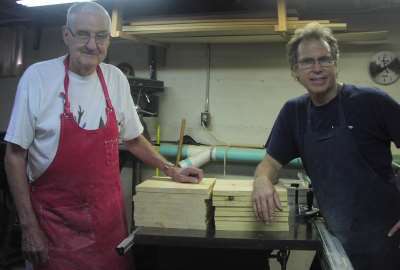 Spending a weekend in the woodshop with a master craftsman like Richard was certainly an experience for me. We crafted the parts that would bring this project together. The coffee breads, freshly roasted coffee and hand crafted crate came together nicely. To top it off and create the final piece of the experience, I put together cards with pictures of the craftspeople and their stories. In the end, we believe that creating an experience is more than just the taste of a product or the colors in the packaging, it is the story behind it and the feeling it evokes that make the difference. The recipients who get this package are in for an experience they’ll not soon forget. This project was a chance for us to learn things that we’ll apply to gifts from Anna’s Gourmet Goodies. While it is dangerous for a business to stray too far from their core mission, we felt this project fit nicely with our core mission I discussed some time ago in this post titled ‘Real magic happens when you understand the why’. We won’t be shipping these out until the first of December as a part of our Holiday gift rush, but having the opportunity to work on a project like this has been like an early gift for us. Telling someone else’s story is extremely gratifying. By the way, in addition to being a generous craftsman, Richard is also my father in law. Not only did I get to spend time in the workshop and learn from a master, we were there to help him celebrate is 85th birthday. For me, that is a sweeter gift than anything coming out of our oven. Mark Twain said, “The only person who likes a change, is a wet baby”. Do you like change? The truth is, it really doesn’t matter whether you like it or not, change comes in life and in business. We’ve experienced a few milestones recently that mark change at Anna’s Gourmet Goodies and in the Duke household. I shared the story recently of how we started our business selling pies and cheesecakes. Like many startups, we did everything by hand until purchasing equipment to help us scale the business and keep up with demand. A dough roller quickly turned those rounds of dough into perfectly formed pie crusts, before carefully placing them in the pans by hand. A cake cutter from Food Tools helped us pre-slice pies and cheesecakes, inserting a sheet of parchment paper between the slices (you’ve probably seen this before in some warehouse clubs. We sold both pieces of equipment and shipped them off to their new owners, a baker in Minnesota and a restaurant in Arizona. While it was nice to pocket cash for equipment we haven’t used in years, it was a bittersweet moment to see it leave the bakery. We spent a lot of hours together. In our personal life we’re also facing changes, getting ready to ship off our most prized possession and the company namesake off to college. 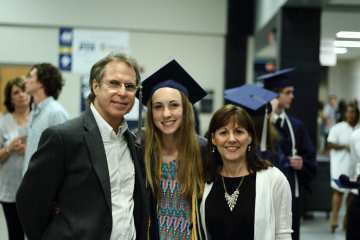 Anna graduated from high school and is preparing for the next leg of her journey in just a few short weeks. The decision to leave Sciquest and start Anna’s Gourmet Goodies was complex and based in no small part on my desire to spend as much time as possible with my little girl, now a young woman. Change happens. 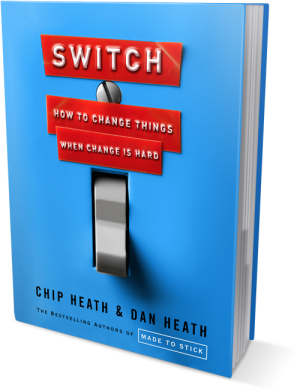 A few years ago I was fortunate enough to meet Dan Heath, one of the authors of “Switch: How to Change when Change is Hard”. He was concluding his book tour at Duke’s Fuqua School of Business and I decided to take Anna along. She was just about to head into the teenage years, our business was undergoing some transition, and learning about change from an expert seemed to be perfect timing. We sat in the front row. The audience was a mix of MBA students, alumni and business executives. I’m pretty confident that Anna was in fact, the youngest person in the room. When Dan came out on stage, he immediately noticed her and his facial expression confirmed that the age range of his audience would begin a little younger than he expected. 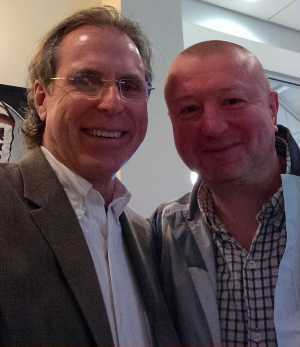 Years later after the release of his next book “Decisive”, we chatted and laughed about that moment. The Heath brothers present a framework for understanding change that I still think about to this day. It is simple, profound and makes more sense to me than programs based on lists, goals, exercises or whatever. It is based on the concept of an elephant, a rider and a path. The elephant represents our emotional self. It is large, sometimes unwieldy and can be difficult to turn on a dime and move in another direction. The rider represents our logical self. The rider can quickly assess a situation, apply lessons learned and come up with a decision on the best direction to proceed. Sounds easy, right? Here’s the problem, the elephant does not always agree with the rider. And while the rider likes to think he’s in control, moving an elephant can be hard. What’s the answer? Find a path that works for both the elephant and the rider. If you’ve ever raised a teenager or know someone who has, the elephant and the rider analogy probably rings true. Think of the teenager as the elephant, you are the rider and you’re looking for that path. As parents we’ve worked diligently to keep Anna on a path that will allow her to achieve her potential. That’s about as much as any parent can hope for. As for Anna’s Gourmet Goodies, we’ve also been moving along a path that we hope leads us to a place where we can continue to grow our potential. It was hard giving up the wholesale dessert business to focus strictly on cookie and brownie gifts. Along the way, the elephant veered off into a few brier patches (yes, those thorns are painful). But we’ve always tried to stay true to the values that led us to found the company. Not because it looks good on a piece of paper, but rather because we know that ultimately, the best way to deal with changes every business faces, is to keep the elephant and the rider on a path where they are both comfortable. One of the benefits of that mindset comes when we make a connection with our customer’s elephant and rider. When we provide a path for them that makes sense for their marketing, employee satisfaction, or branding goals by sending out our gourmet cookie gifts, it really is magical. If you are facing change in your personal or business life, and it seems hard, stop beating yourself up. Pickup a copy of Switch and spend some time getting you know the elephant and the rider. Of course, you could also order a box of chocolate chip cookies, get yourself a tall, cold glass of milk and sit out on the porch to contemplate your path. While I can’t speak for your elephant and rider, I can say that mine are always happy to go down that path.